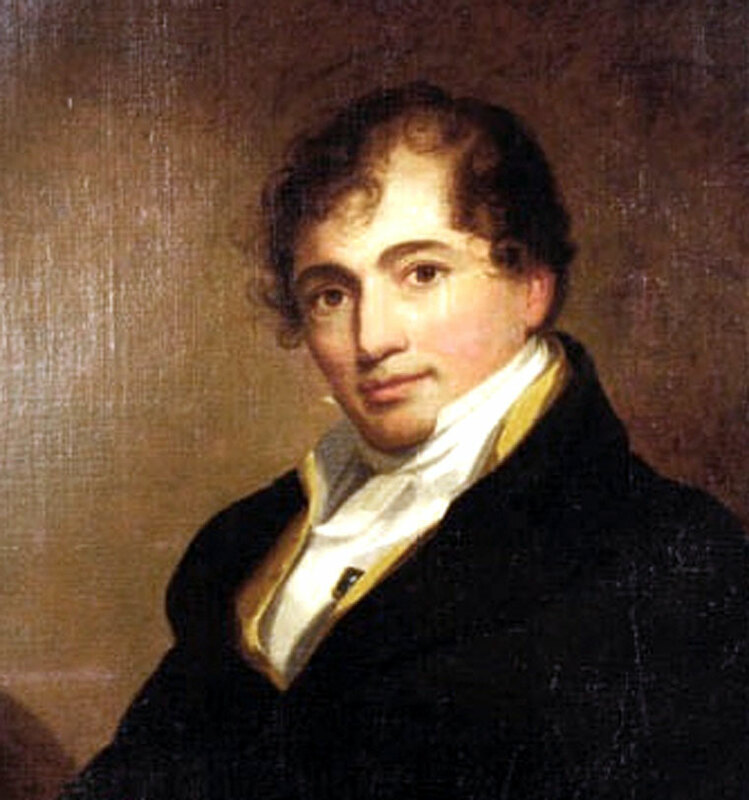 Robert Fulton (1765-1815) was a U.S. engineer and inventor who is widely credited with developing the first commercially successful steam-powered steamboat in the US. He also designed a new type of a steam warship. In 1800 he was commissioned by Napoleon Bonaparte to design Nautilus, which was the first practical submarine in history. 1777 He had become interested in steamboats when (at the age of 12) he visited William Henry of Lancaster, Pennsylvania, they had found out about Watt's steam engine on a visit to England; Henry then made his own engine and in 1763 – two years before Fulton was born – tried putting his engine in a boat, which sank. 1786 When he came of age, Fulton went to England to study painting. There he met James Rumsey who sat for a portrait in the studio of Benjamin West, where Fulton was apprenticing. Rumsey was an inventor from Virginia who ran his first steam boat in Shepherdstown, (now West) Virginia in 1786 and repeated his attempt on December 3, 1787. 1793 Fulton proposed plans for steam vessels to both the United States and the British Governments, and in England he met the Duke of Bridgewater, whose canal would shortly be used for trials of a steam tug, and who later ordered steam tugs from William Symington. Symington had successfully tried steamboats in 1788, and it seems probable that Fulton would have been well aware of these developments. 1797 He went to France (where the Marquis Claude de Jouffroy had made a working paddle steamer in 1783) and commenced experimenting with submarine torpedoes and torpedo boats. In that year he met Robert Livingston, United States Ambassador (whose niece Harriet Livingston he married, they had four children; Robert, Julia, Mary, and Cornelia), and they decided to build a steamboat to try out on the Seine. Fulton experimented with the water resistance of hull shapes, made drawings and models and had a steamboat constructed. At the first trial it sank, but the hull was rebuilt and strengthened, and on August 9, 1803, this boat steamed up the River Seine. The boat was 66 feet long, 8 feet beam and made between 3–4 mph against the current. In 1807, Fulton and King built the first commercial steamboat, the North River Steamboat (later known as the Clermont), which carried passengers between New York City and Albany, New York. Fulton is buried at the Trinity Church Cemetery in New York City alongside other famous Americans such as Alexander Hamilton. This page was last edited on 5 December 2014, at 19:43.